Humor, horror, westerns, war, romance, espionage and, of course, super-heroic adventure...many domains, but only one King. From the Two-Gun Kid, Sgt. Fury and Agent Jimmy Woo to the Fantastic Four, the X-Men and beyond, the talent of Jack Kirby underlies the history and future of Marvel! See Captain America's first appearance...all three of them! Witness the first Avengers/X-Men battle, and learn the origin of Professor X! Cower before Doctor Doom, wielding the power of the Silver Surfer! The Yellow Claw! Mangog! Fin Fang Foom! 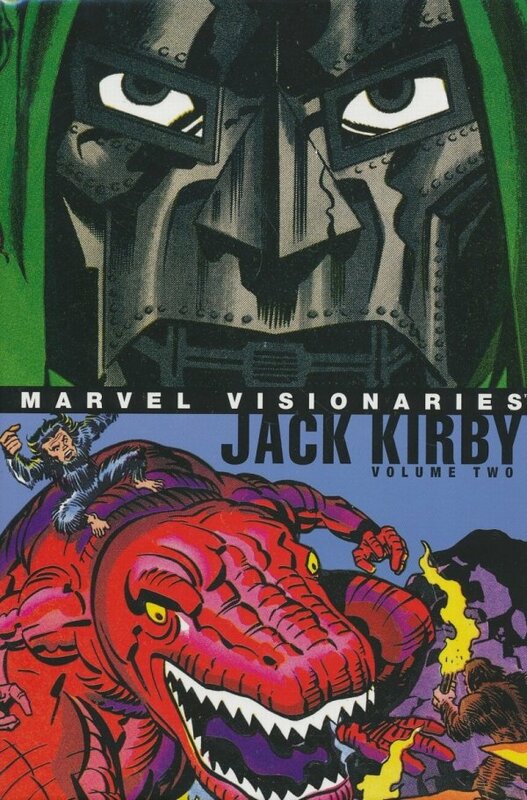 Otherworldly dinosaurs, mutant seagulls and more await as comicdom's commemoration of Kirby continues!